YASHASVI IMPEX is the supplier of geo membrane, PVC geo membrane, CPE geo membrane, Nonwoven bags. Geo Synthetics, Woven Geo Textiles, Geo Bags, Geo Grid, Glass Fiber Grid. 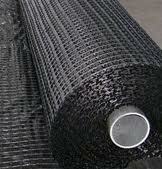 ****** Geo Membrane: It is a kind of waterproof material with basic raw material of high molecular polymer. It is mainly divided into PE geo membrane, PVC geo membrane, CPE geo membrane and all kinds of composite geo membrane. ******* Nonwoven bags: - are now being seen as a great alternative to the traditionally used plastic or paper bags for its environment friendliness. ******* Geo Synthetics:-The most common product in the family of Geo Synthetics is non Woven Geo Textile fabrics. This product is a random assembly of synthetic fibers, put together, which are mechanically & thermally bonded to make into a single layer, commonly made of non woven polypropylene geo textiles and polyester types. Geo textile fabrics are manufactured that based on typical application required.